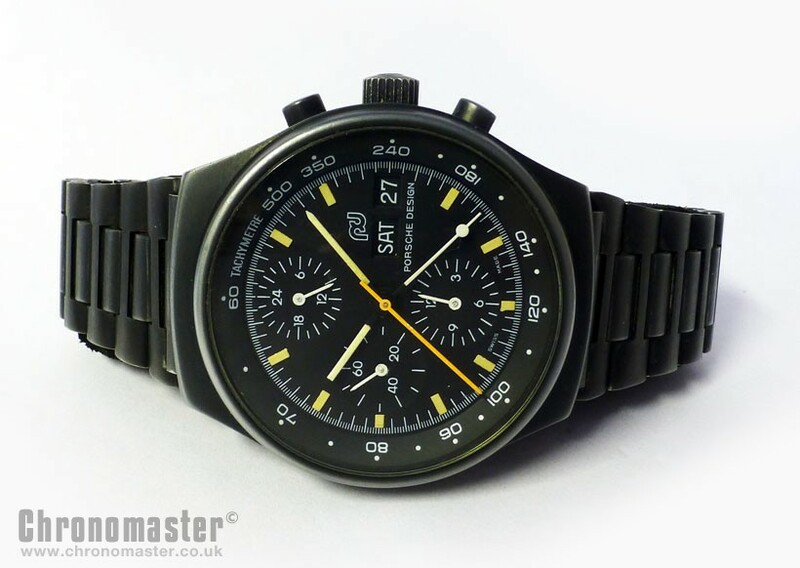 Orfina Porsche Design chronograph black PVD coating and Lemania 5100 automatic winding movement. 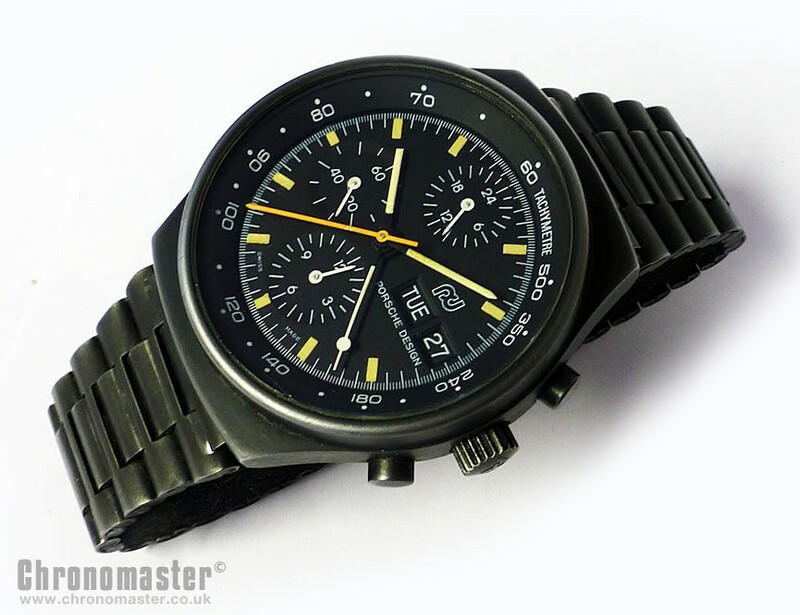 The watch is a cult collectors classic. Orfina is a company steeped in history. They were founded in Grenchen, Switzerland in 1922 and from the outset have focused on building durable, practical and robust watches. 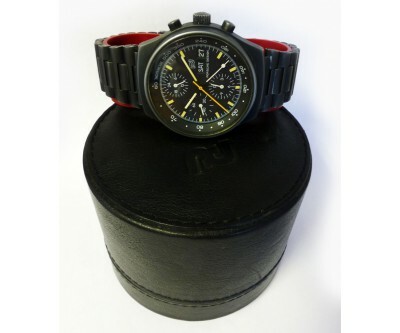 To this end they achieved a great deal of success in producing, aviation, navigational and military wristwatches. They rose to world eminence when they were awarded the contract to build the Porsche Design watch. 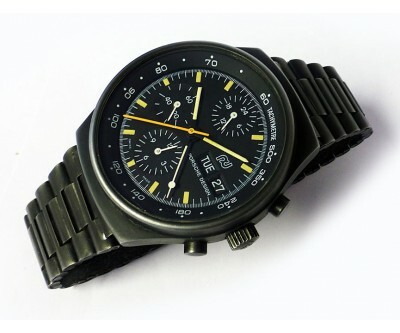 The original Porsche Design watches were designed by Ferdinand Porsche himself - the man who brought us the Porsche 911. He had the confidence in Orfina’s ability to manufacture his designs, and they executed, as expected, like true masters of horological excellence. 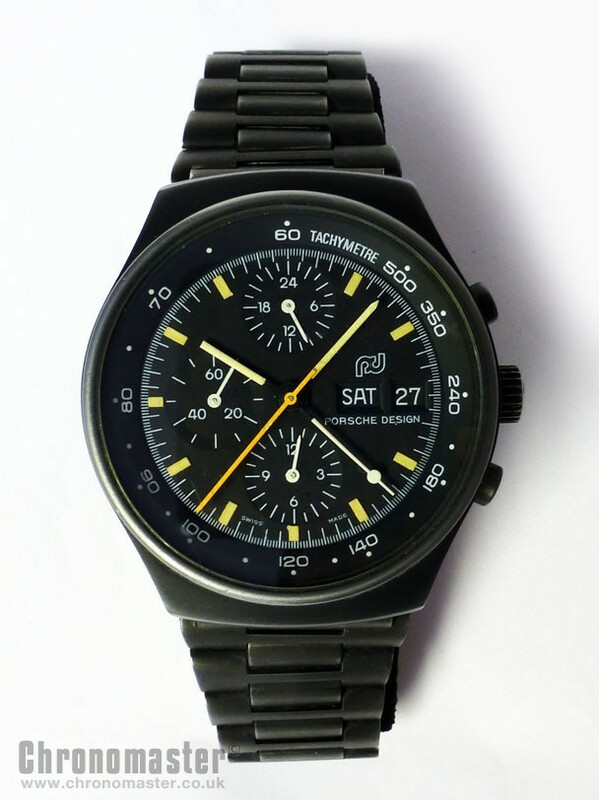 Many of the Porsche design watches were sold to the retail public, but were also very popular with aviators, navigators and military personnel. 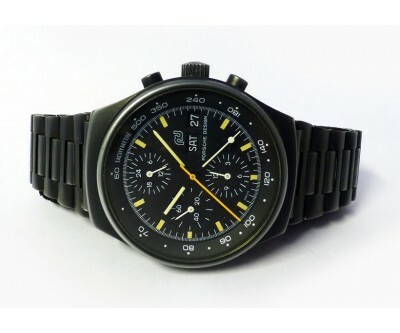 The Orfina Porsche Design "3H military" model was issued to the German military forces in the 1970’s. 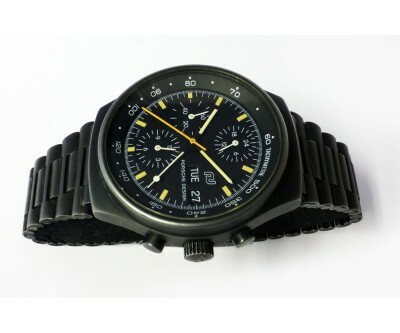 This watch was manufactured by Orfina, to the design of the Porsche company. 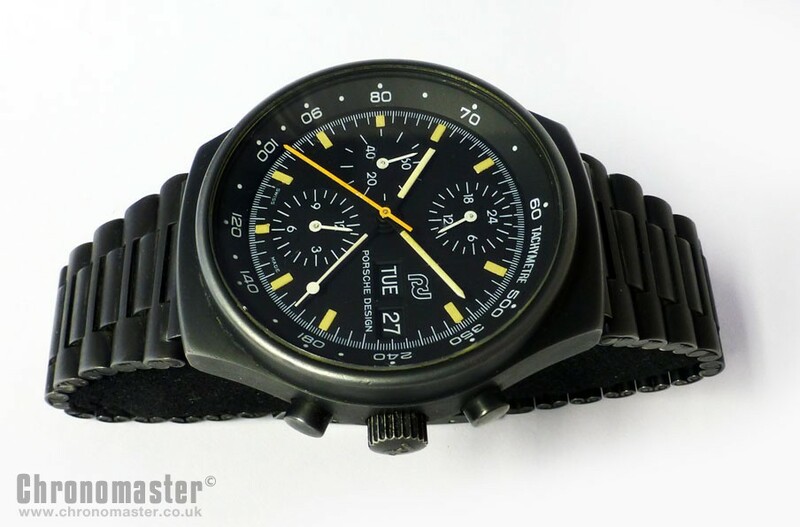 Orfina were the original company used by Porsche for their watch designs. This later went to IWC and is currently Eterna. 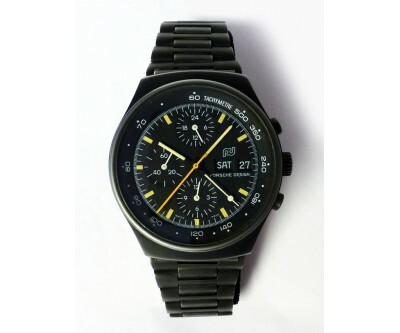 This particular model is the original and cult classic 1970’s Porsche design watch. The watch is a beautiful and masterful watch, with sweeping and curving lines, the dial is clean and minimalist in design bringing a pure functionality without un necessary clutter. The watch is striking and a pleasure to wear. Being of steel construction, it is durable, strong and solid and heavy in weight. 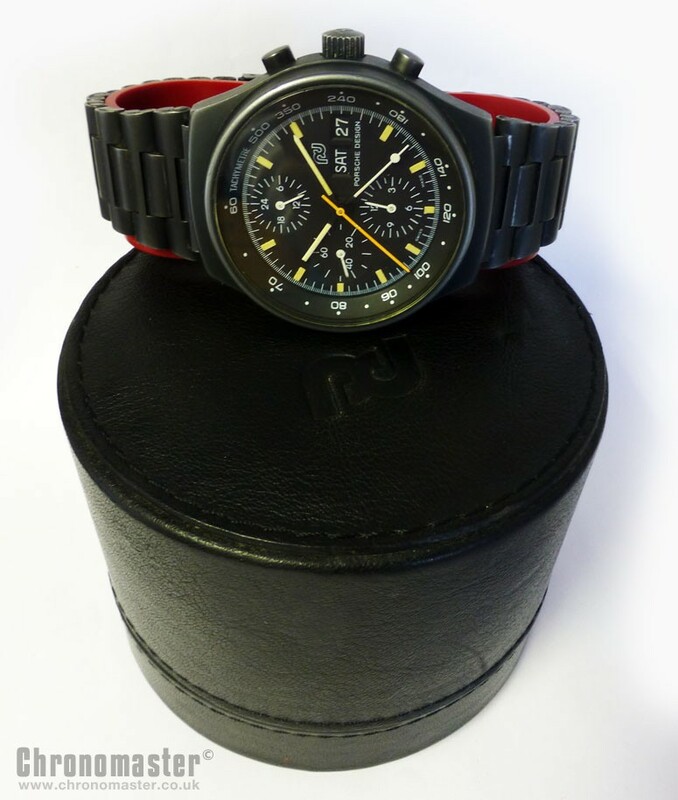 Black PVD case is in immaculate condition. Matte black dial with superbly contrasting hands and dial markings with evenly faded luminosity. Porsche Design logo on dial, case back and PD logo on the crown, folding bracelet clasp. Day and date function the 3 position. Uncluttered and minimalist tachometer scale printed on the inner bezel. Dimensions are: width is 40 mm excluding crown, 43 mm including crown, 44 mm lug to lug and thickness is 14 mm.